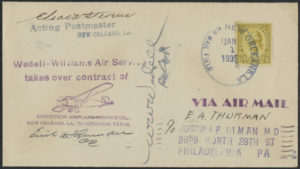 Title: Wedell-Williams Air Serve Takes over Contract of Robertson Airplane Service Co.
“Wedell-Williams Air Serve takes over contract of Robertson Airplane Service Co., New Orleans, LA. 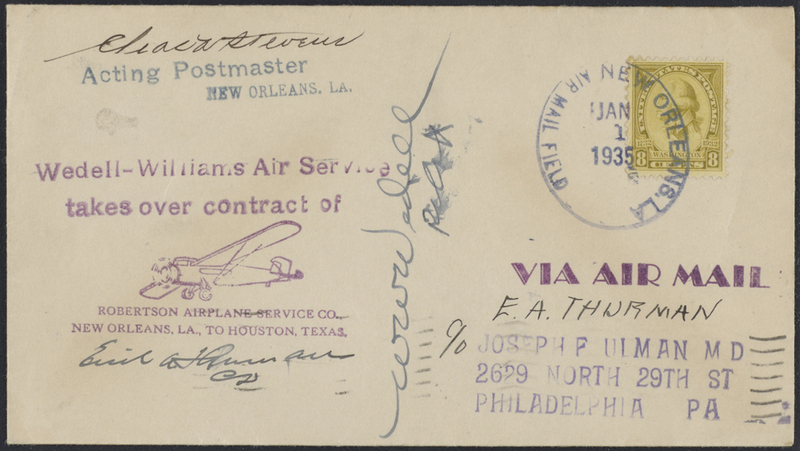 To Houston, Texas.” Autographed by the acting postmaster of New Orleans, Emil Thurman, and Walter Wedell, younger brother of racer and plane designer Jimmie Wedell and co-owner of the Wedell-Williams Air Service. 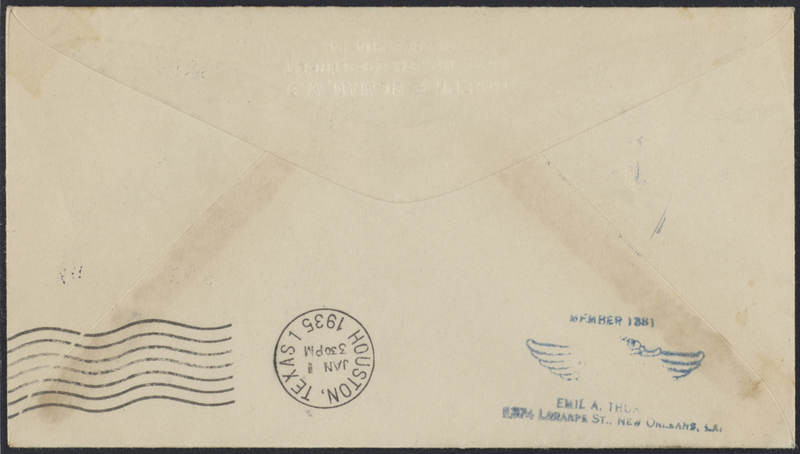 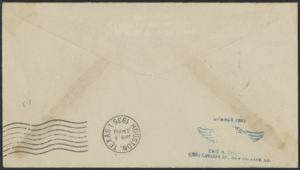 Postmarked January 1, 1935.